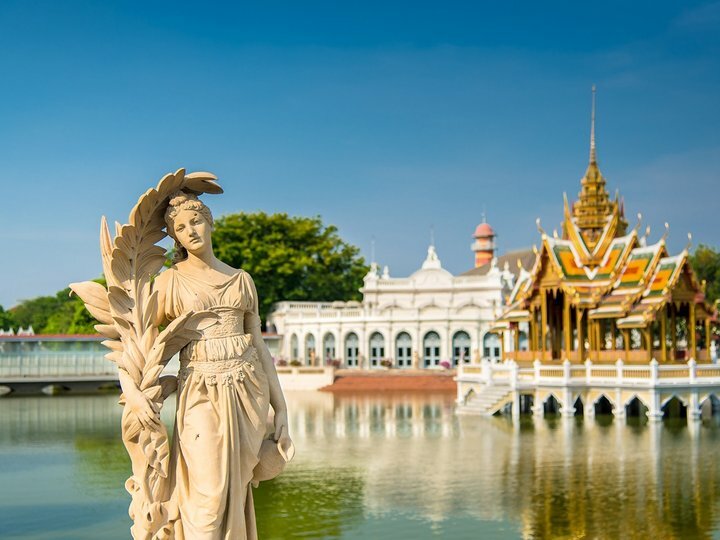 Thailand, as the top destination in Southeast Asia, can be your most memorable travel experience where you can indulge yourself in the incredibly beautiful nature, authentic culture and the warmth from the friendly locals. To stimulate your next trip to this beautiful country, read our list of the very top things to do in Thailand below! 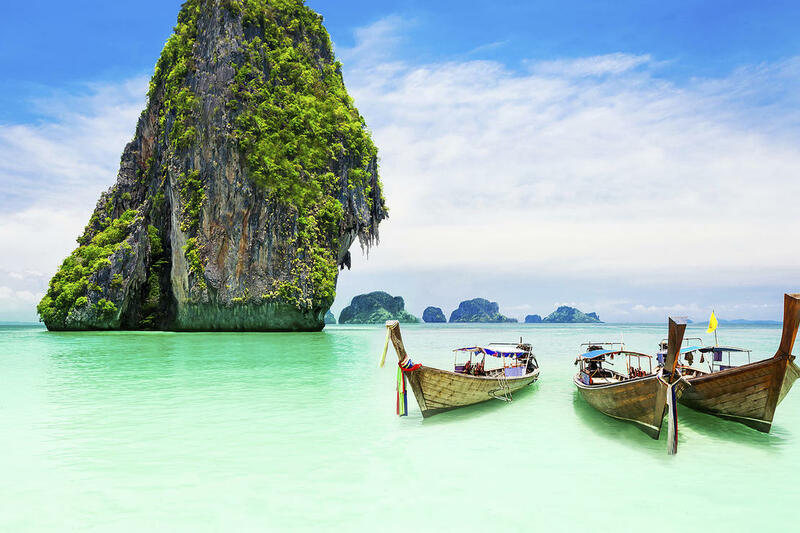 Appeared to often in the travelers' bucket list, Thailand is home to everything - blue, pristine beaches and islands, golden temples and pagodas, bustling cities and lively nightlife. From North to South, the country has its visitors intrigued by its culture, traditions and the friendliness of the local people. Either you're looking for a cultural discovery, an exciting festival or a lazy time on a blue island, Thailand would be your favorite country on earth in no time and I mean it when I say this. With many activities and attractions in Thailand, it’s a hard job to list all the things that are worth doing during your trip. 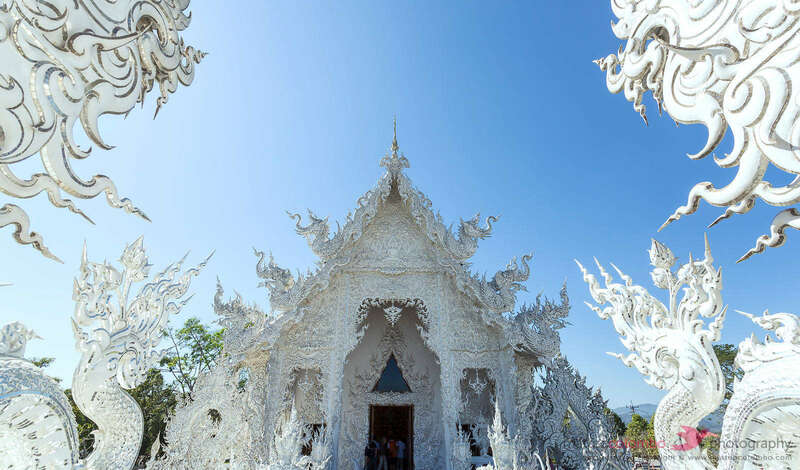 Here we’ve listed the top ten most worthy things to do in Thailand for you. Wat Traimit or the temple of golden Buddha where you can see a sitting Buddha statue made of monolithic gold in height of 3m. This is the largest monolithic gold statue in the world which is believed to be the symbol of prosperity, purity and strength. 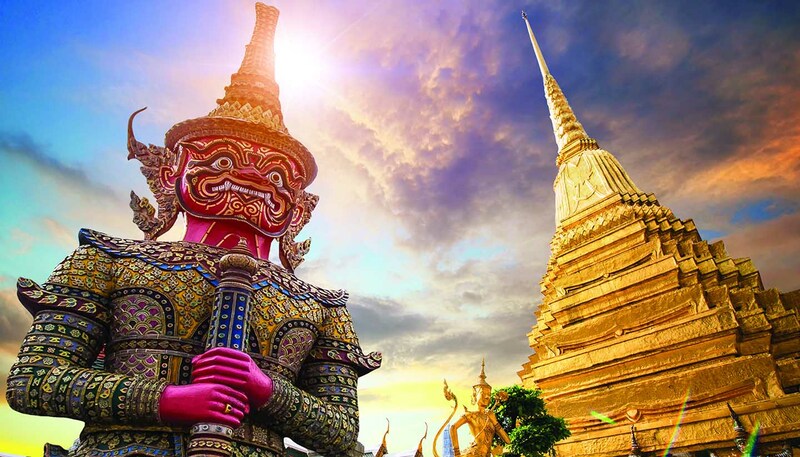 The gold statue was made from 13th to 15th centuries and still remains through many ups and downs of Thai history. Or Wat Phra Chetuphon or the Temple of Reclining Buddha is a sight to behold in Bangkok. This temple is also the birthplace of traditional Thai massage. 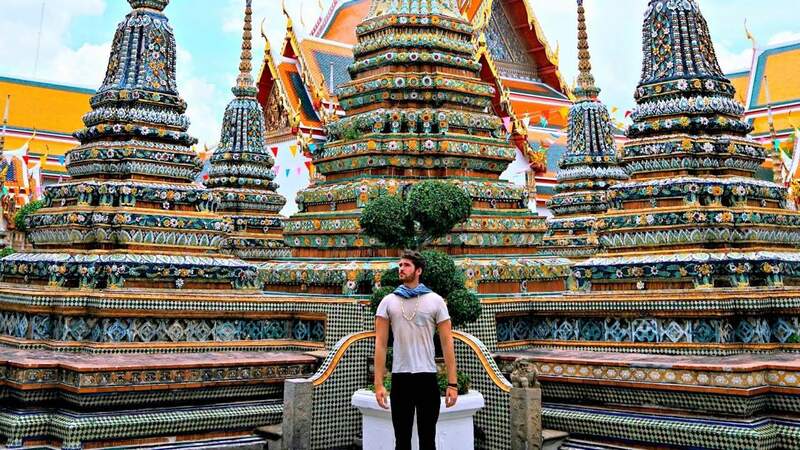 Wat Pho is the largest and oldest temple in Bangkok with more than a thousand images of Buddha. The reclining statue is about 46m long and 15m high, gilded and jeweled with a ‘mother of pearl’ on the eyes and the foot of Buddha. 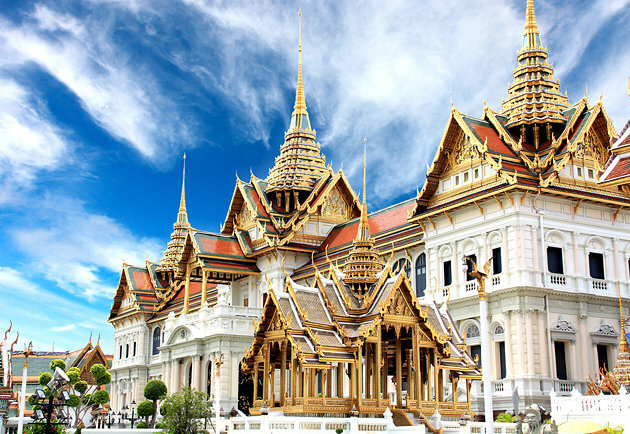 No visit to Bangkok should be without Royal Grand Palace – the city’s most outstanding and famous landmark. Built in 1782, the Palace has been home of Thai King, Royal Court and the administrative seat of government. Today, the palace continues to have visitors from all over the world in awe with its grandeur architecture and intricate detail. 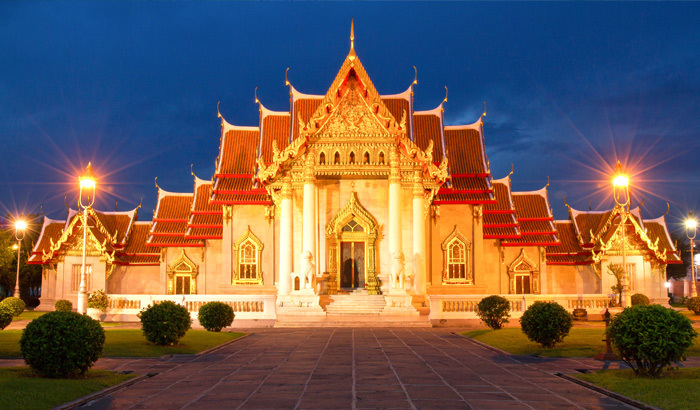 Don’t miss the palace in your trip to Bangkok by any means. 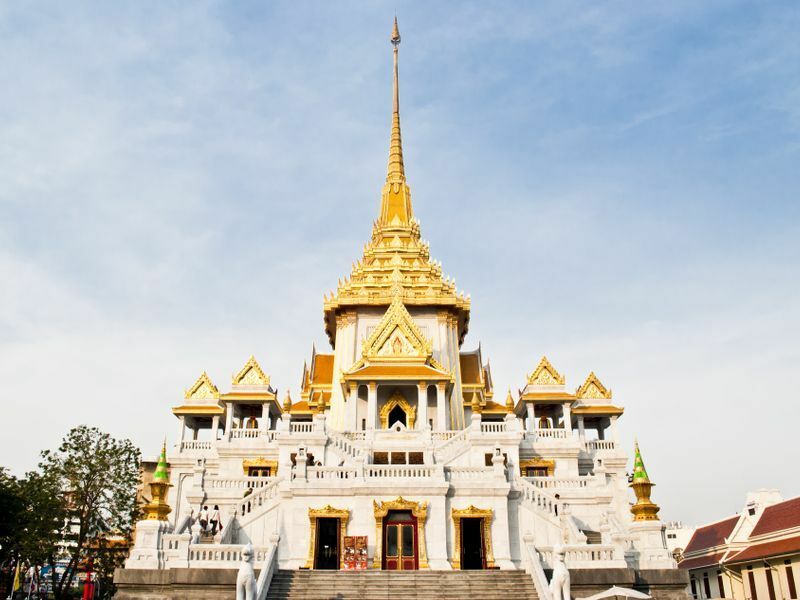 Considered as one of the most sacred pagodas in Thailand and a must-visit destinations in Bangkok. Located right next to The Royal Grand Palace, Wat Phra Kaew is home to the famous Buddha statue which is made entirely by Emerald. Wat Phra Kaew is even known as the royal pagoda for its important values in architecture, religion and culture. 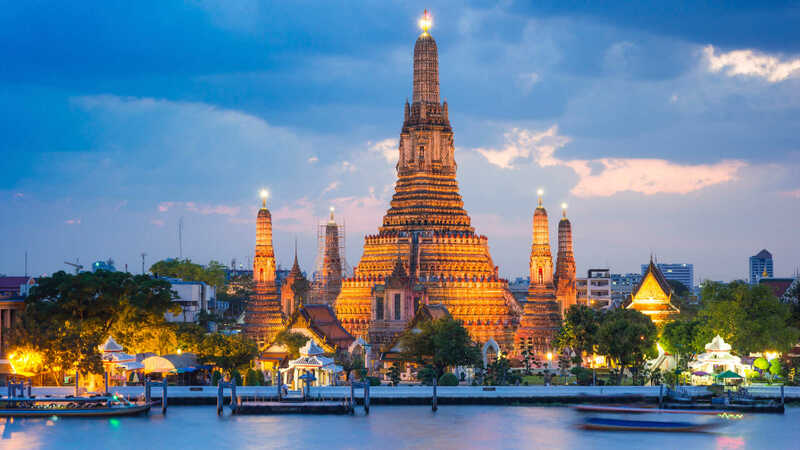 Or Wat Benchamabophit Pagoda, located in Dusit Ward in Bangkok, is also one of the most beautiful pagodas in the city. The ubosot of Marble Temple was built from carrara marble imported from Italy, which is also the reason for the name of the temple. There are also four impressive marble pillars at the entrance of the temple and the large courtyard is made of shiny white marble. 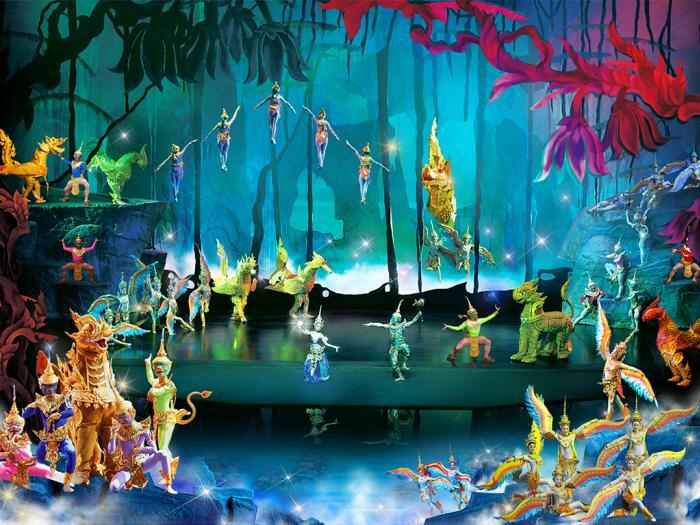 Siam Niramit no doubt is your best show to watch in Bangkok and the first show you should watch when come to Thailand. Why? By watching this show, you’ll learn a lot more about culture and history of Thailand which will help you have more insight of the country before visiting its attractions. In 90 minutes long of the show, the seven centuries of the country you’re visiting will be presented in the best way impossible with colors, music and thrilling stories of Thai people. The stage in Ratchada Grand Theater is the world’s highest in the world and the show itself is one of the largest stage productions on earth. This experience will give you not only excitement and make you overwhelmed with not just its scale but also its incredible content. 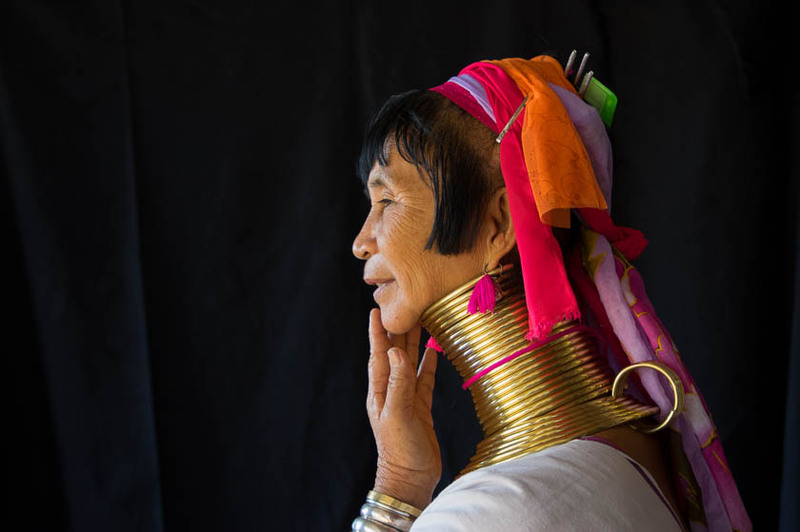 Visit the very special village in Thailand – village of Karen long-neck women. These villages are located between Chiang Mai and Golden Triangle area. One of the villages you can visit is Padung village where you can meet and interact with the women wearing several brass rings around their neck, wrists and ankles. These women have been wearing these rings from a long time ago, ever since they were only young children to shape the collarbones and make their neck longer. Come to Padung, you can also purchase some souvenirs to support the locals. 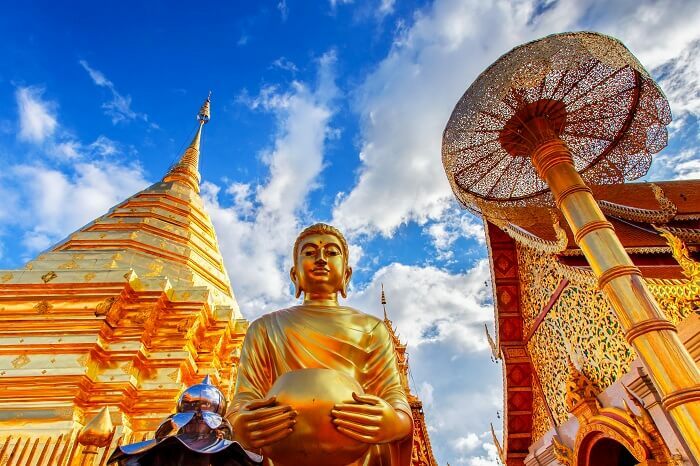 This pagoda is considered the most sacred pagoda in Chiang Mai, Thailand – one of the place many local Buddhists go to on big festivals and events. 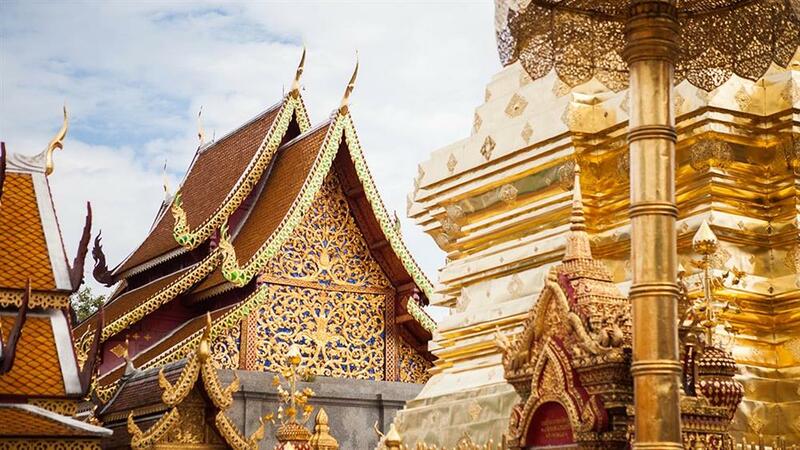 Your trip to Chiang Mai would be incomplete without a visit to Wat Phrathat Doi Suthep pagoda. With a history of 600 years, the pagoda has been repaired many times. Today, a paved road to the top of the mountain where the pagoda is has been made which makes your trip to the pagoda much easier. On the top, at the central of the pagoda is the gilded Chedi where the Buddha’s bone was kept. Once you’re on the mountaintop, you’ll be able to enjoy the beautiful landscape of Chiang Mai, especially during sunset moment. 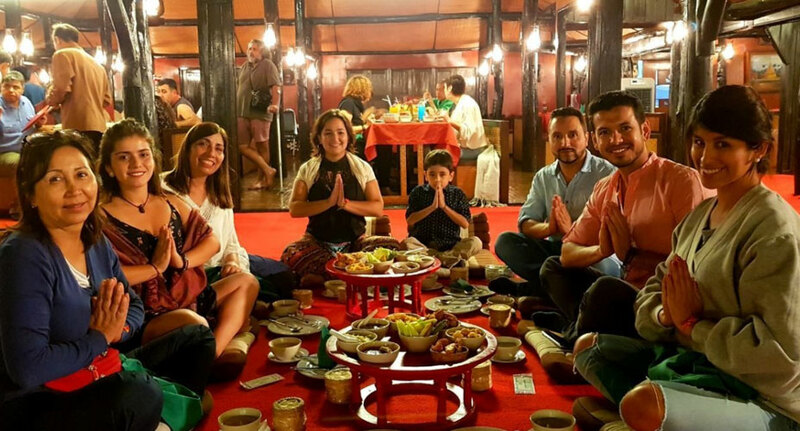 The first Khantoke dinner was first created at Old Chiang Mai Culture Center in 1970 in order to showcase to visitors the traditional Northern Thailand, Lanna, Culture. This is one of the best things to do in Chiang Mai at night. Many Thai dances that are performed have at least 150 years of history and known as Thai traditional dances such as Fingernails Dance, Swords Dance, Shan Dance, Magic Fowls Dance and more…. The dinner is composed entirely by trational Chiang Mai dishes which are all made from the local ingredients. Mea Sai market is a famous shopping places in Chiang Mai is not quite an ordinary market. This is the market known for gemstones and a place where Thai traders picked up products from Burma and Burmese stocked up on items not easily found or more expensive. Mea Sai has all the things you can imagine here, legal or illegal. Even if you don’t buy these items, strolling and looking at them is also fun enough. 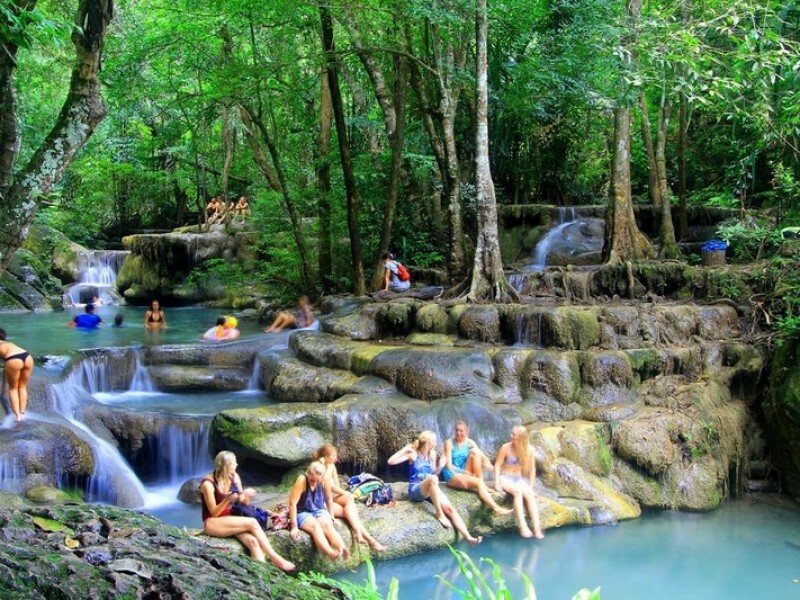 Erawan is the most spectacular waterfall in Thailand and perhaps in Southeast Asia. The waterfall is not way grand or have giant rock setting but it has a rather dreamy beauty. Located in the Tenasserim Hills in Kanchanaburi Province, about 200km northwest of Bangkok and you’re in for a wonderful retreat to nature. Erawan is a part of the Erawan National Park. Its seven separate tiers span over 1500m through thick rainforest, creating an incredible scene of nature. The first waterfall Hlai keun Lung is fairly easy to visit and is one of the highlight site to visit here. You’ll enjoy the gentel water falling down from a two-level waterfall into a blue, azure pond which also have many fish swimming. It’s just a wonderful experience when you can swim together with these wild creatures. Process to the fifth tiers and so on, you’ll have chance to admire several pristine sights of nature and what’d be more relaxing and healing then being surrounding by nature? 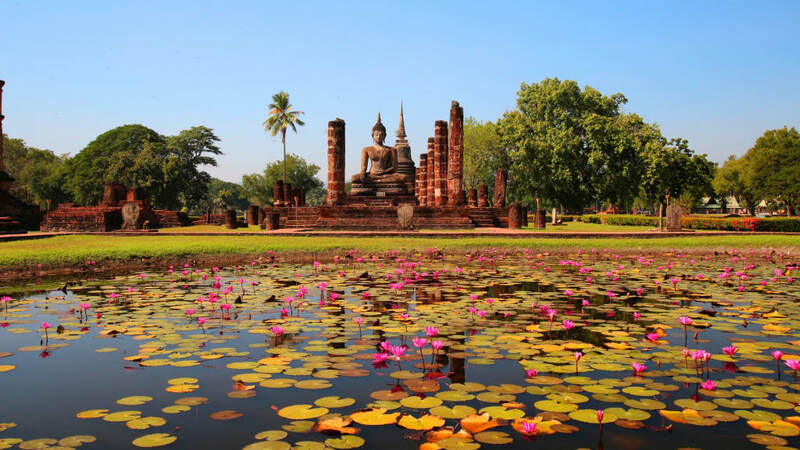 Sukhothai, meaning ‘dawn of happiness’ in Thai language, was the capital of Sukhothai Kingdom in 13th and 14th centuries, in northern central Thailand, also a UNESCO World Heritage. The park covers the ruins of Sukhothai citadel which is maintained in quite good conditions. The city’s walls have four gates in each side. Inside the city, there are 26 temples, of which the largest is Wat Mahathat. Other temples to visit here are Wat Si Sawai, Wat phra Phai Luang, Wat Sasi…. The islands in southern Thailand are the best choices for visitors who are looking for a nature retreat to enjoy the waves, the breezes and beautiful seascape. Thailand has some of the most modern island tourist facilities in Southeast Asia. Sits in the Gulf of Thailand, Koh Phangan is the tropical paradise to spend your time relaxing leisurely with the nature here. Enjoying golden beach and turquoise water is just one of the many things to do on the island. You can fill your stomach up with great Thai food in The Thong Sala Night Market, exploring Ang Thong National Park, and kayaking around the island. 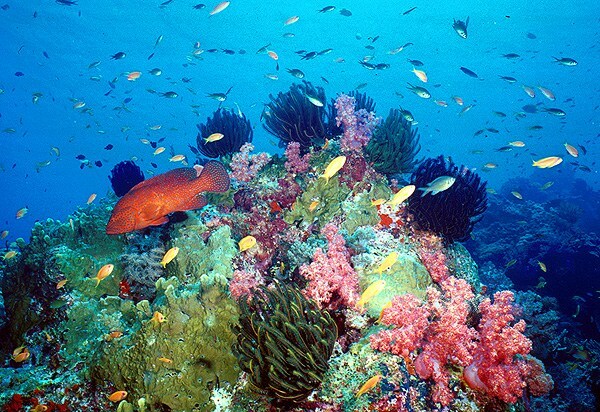 You can easily get to Koh Pha Ngan by several means like express boat, Raja ferry and catamaran boat. Located just right next to Koh Pha Ngan, Koh Samui is another island to visit in Thailand. The island is quite larger than its neighbor, so you can expect a lot of things to do here. Koh Samui is known for many white sandy beaches and beautiful coral reefs and welcoming about 1,5 million visitors annually. A system of roads, airport and boat pier is developed on Koh Samui, making it so easy to visit. 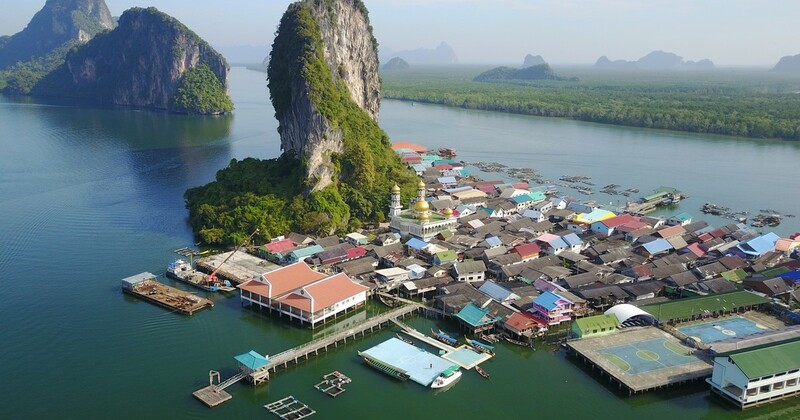 Koh Panyee is a small floating Muslim floating village in the middle of the ocean, at the foot of a small, vertical limestone cliff. The scenery is absolutely amazing here. There are about 1500 people from 315 household living in this small paradise. Their floating houses are linked together and there is a floating Muslim mosque too. The village also has its own school, health center, small souvenir shops and some restaurants. Come to Koh Panyee, you’ll have chance to see the colorful local life unfold, how they live and adapt the life on the water. Absolutely one of the best islands to visit in Thailand. 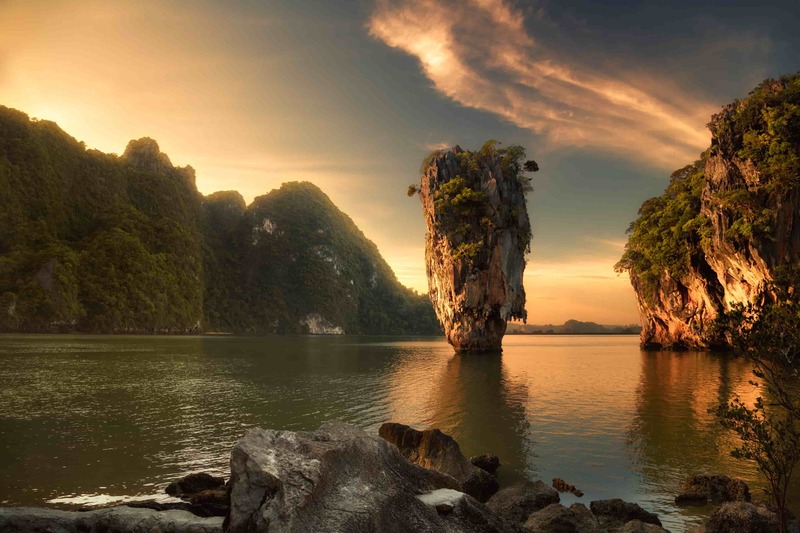 This island is most famous for featuring in the James Bond movie ‘The Man with the Golden Gun’ since 1974 and since then the island has been called James bond Island. 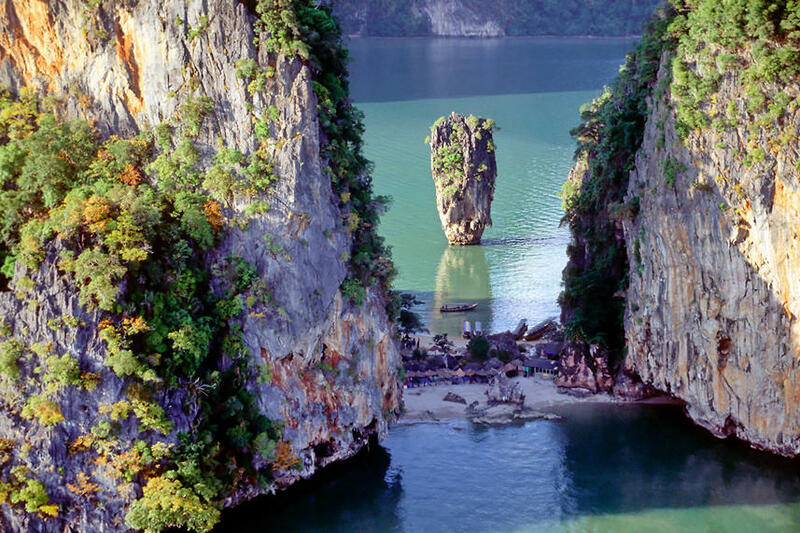 Khao Phing Kan is a part of Ao Phang Nga National Park, located only 40m from the shores is a tall islet called Ko Ta Pu – the very islet that has made the popular of Khao Phing Kan as the James Bond island. Phuket is the largest island of Thailand and also the most desirable tourist attraction, the very top thing to do in Thailand you can miss. Situated in the west coast of Thailand, with warm weather and beautiful landscape, Phuket has things to enjoy for anyone who comes here. Even though it feels overcrowded at times, but the island is large enough to find your own space. 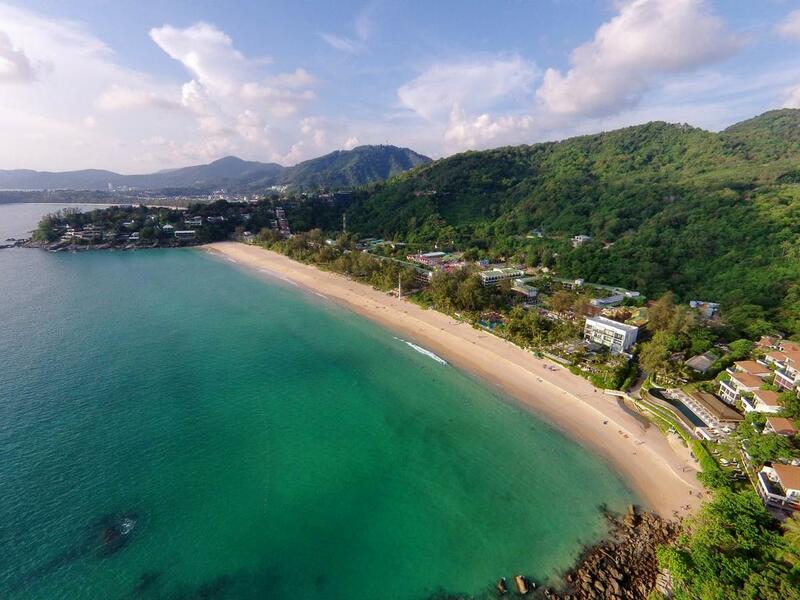 Don’t miss visiting the Kata Noi beach, Nai Harn Beach, the Big Buddha white statue, Karon Viewpoint and Wat Chalong pagoda. At night, come to the night market to enjoy the food and atmosphere. And there are a lot more to enjoy and expect here. Phuket won’t disappoint. 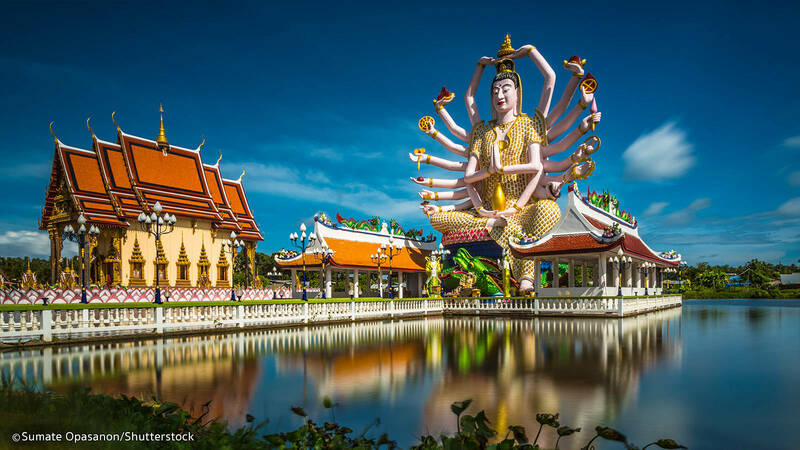 Are these 10 things enough to make you fancy a Thailand tour? 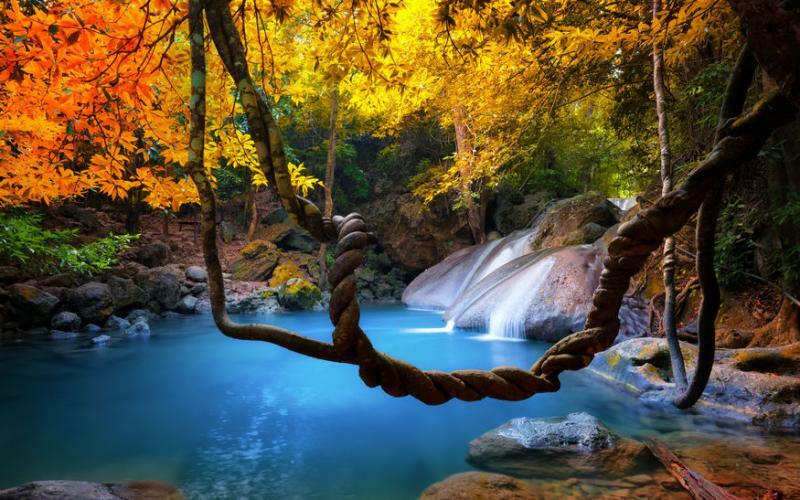 We customize a Thailand trip that can articulate all the top things to do in Thailand above. Contact our travel expert by sending your request for a comprehensive Thailand trip to our mail booking@asianwaytravel.com.